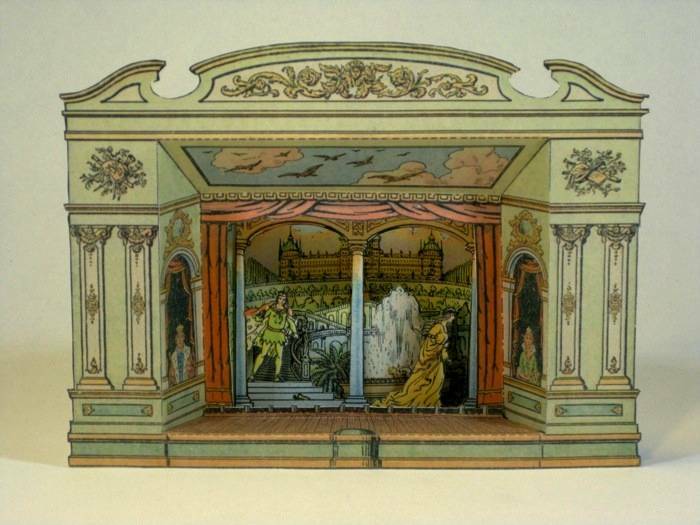 During my work on the Imaginarium paper theater, I came to appreciate paper theaters as an art form. I especially like the 3D effects the theaters are capable of achieving. 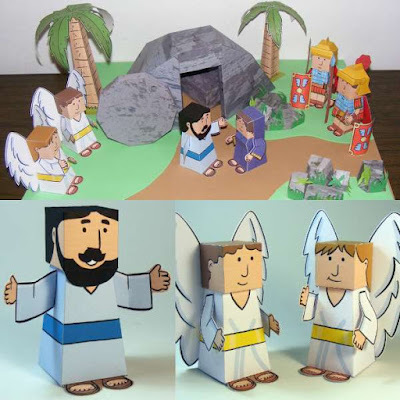 This fairy tale paper theater is a good example. Through the two archways, Cinderella is seen leaving behind her glass slipper while the prince and his castle are glimpsed in the distance. The scenery in the theater can be changed to also show scenes from Little Red Riding Hood, Hansel and Gretel, Puss in Boots, and Snow White and the Seven Dwarfs. 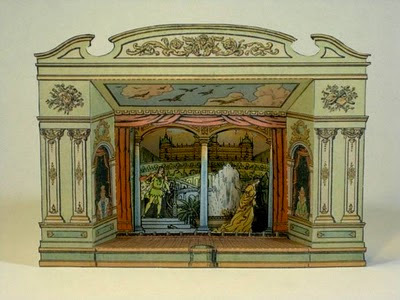 The template for this theater was originally offered in the 1920's by the Danish language magazine Familie-Journal. Patricia M at the Agence Eureka blog has scans of the four page template starting here (the other pages may be viewed by clicking on the thumbnails). The build photo above is by Patrick Pasques.